The prescription drug business in the United States is a huge, multi-billion dollar business. Unfortunately, when that much money is involved, some pharmaceutical companies cut corners to increase profits. From 2004 to 2010, several major drug companies had to pay $7 billion in fines, penalties, and lawsuits. That amount is extremely small compared to the amount of profits that these companies made during the same period. However, even the threat of fines does not prevent the occurrence some of the most serious side effects of dangerous drugs. The Food and Drug Administration (FDA) goes through an extensive research and approval process for most drugs and medical devices. However, the FDA will still sometimes unknowingly approve drugs that have dangerous side effects. This may not be entirely the FDA’s fault because drug companies might skew research and test results to be sure their product makes it through the approval process. For example, they may study just a small group of people for a short period, or they may actually hide negative study results from the FDA. CDER acts as the main consumer “watchdog” against dangerous drugs. It evaluates all drugs in the United States before they are sold. It also provides both doctors and patients with the information they need to use a particular drug safely and in the most effective way. Every drug that CDER approves is supposed to have more benefits than known risks. The drug company must conduct tests on a new drug. The company then sends the results of this test to CDER. CDER’s medical team, which includes statisticians, chemists, physicians, pharmacologists, and other scientists, reviews the studies’ findings and the proposed labeling for the new drug. CDER does not actually test the drugs themselves. Instead, it researches the drug quality, safety, and effectiveness. The review is meant to be an independent and unbiased check on the company’s research and testing processes. If the medical team finds that the benefits outweigh the risks, then it is approved for sale. How Does the FDA Combat Dangerous Drugs? If the FDA receives several complaints about the same drug after approval, it can take a variety of actions. Even though the FDA may be slow to react, those who have been harmed by a dangerous drug do have the option of filing a personal injury or product liability lawsuit. These suits can help cover common damages in these cases, including pain and suffering, medical expenses, and long term negative effects. They can also help remove a dangerous drug from the marketplace. While some drugs are not especially dangerous, some are much more dangerous than the FDA and medical experts initially expected. 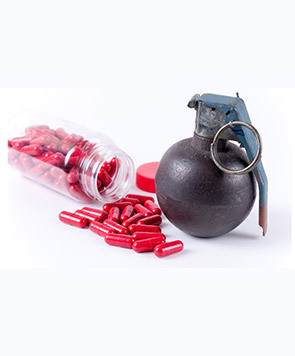 The following is a short list of known dangerous drugs and their intended use. This list is by no means exhaustive; there are many, many more examples. In fact, drugs are added to the list on almost a daily basis as the medical world and patients discover side effects that they did not realize existed. If you have been negatively affected by a drug on our list or any drug, you may have a personal injury or product liability claim. Contact the experienced dangerous drug attorneys at The Leifer Law Firm for more information. Call us for a free case evaluation at 561-395-8055.